If you no longer need an app, then you could use Windows 10 Store Apps Uninstaller to remove it and free up space on the drive. Easy way to remove apps via right click -> Uninstall for a single app or in bulk. Lets you remove some of the built-in apps that the Windows 10 menu won’t let you remove. 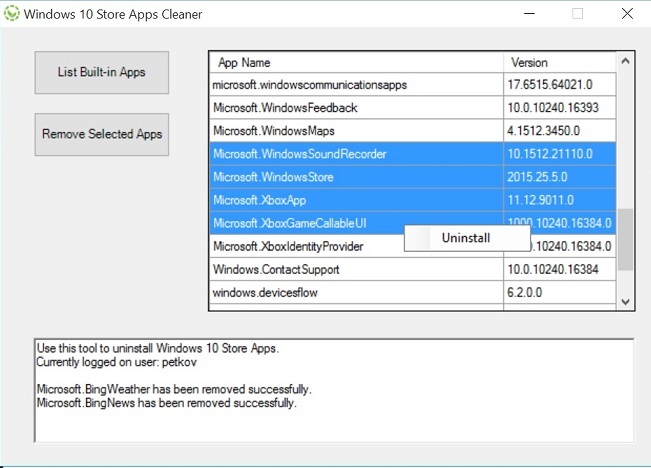 Note: Windows 10 Store Apps Uninstaller will remove the Windows app for only the user account that is currently logged on.